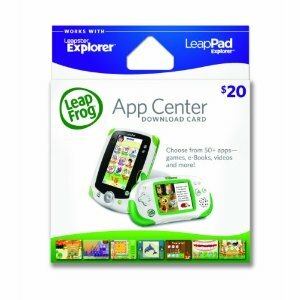 $20 LeapFrog App Center Download Card just $15.52! Amazon has the LeapFrog App Center Download Card (works with LeapPad & Leapster Explorer) for just $15.52! Shipping is Free with Prime or on orders of $25 or more. This is the first time I have seen it discounted since before the holidays! Thanks Freebies4Mom! $6 for $32 Worth of Pedoodles Shoes for New Plum District Customers!